Grave : Plot III. Row C. Grave 41. 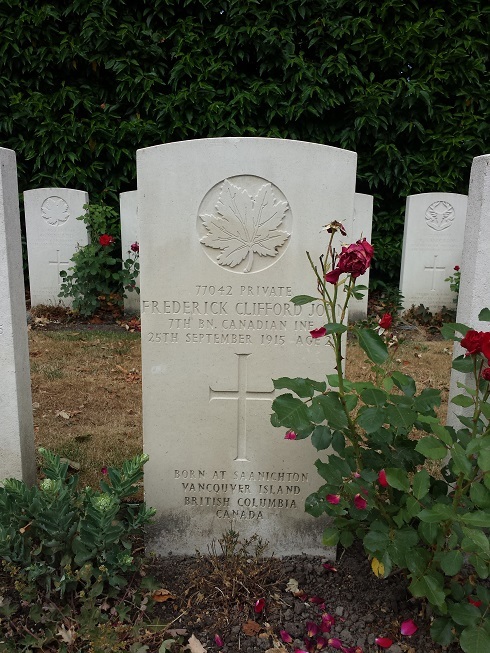 Frederick Clifford John was a son of Edwin R. and E.C. John, of Turgoose, British Columbia. He was born on 9 December 1891 in Saanichton, Vancouver. On 9 November 1914 he enlisted into the Army.